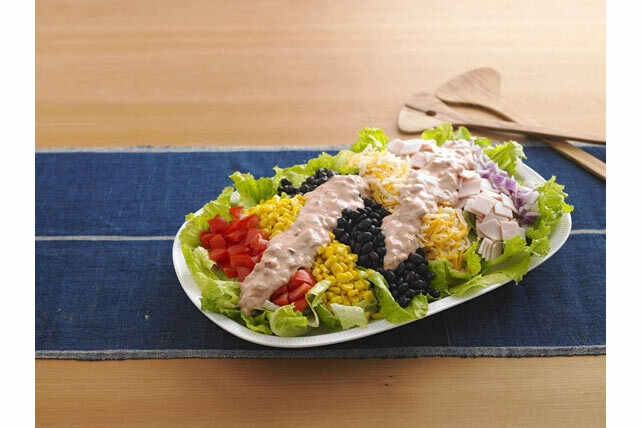 This colourful cobb salad has south-of-the-border appeal. Cover platter with lettuce; top with next 6 ingredients. Mix dressing and salsa; drizzle over salad just before serving. Add chopped avocados and/or chopped cilantro. The lettuce in this Mexican-inspired salad provides a good source of vitamin A.